Are you looking for the most affordable moving services for relocating in Canada or the United States? The cost of moving is primarily the driving factor behind an individual’s choice of movers. With the anxiety over the expenses connected with moving and the myriad of tasks required in a move, the prospect of moving brings a high level of anxiety and stress for a majority of people. However, choosing the best moving company and moving services can greatly diminish stress and bring moving expenses under control. Hiring a professional and dependable moving company can greatly help with the smooth transition into your new environment and neighborhood. 5MoversQuotes aims to help you connect with the best movers in your area that offer reasonably-priced and efficient moving services. 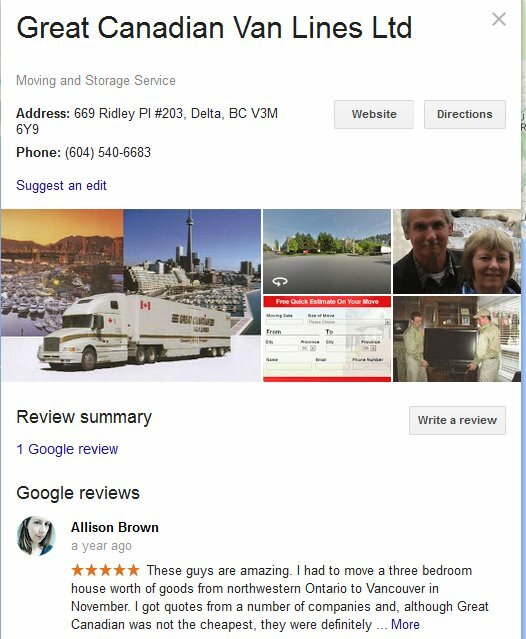 Below we have prepared a review of the biggest moving companies and their moving services in Canada and the US to provide you with the information you need to choose your mover wisely. Knowing how moving companies operate and how they charge for their services will also help you understand your own needs and take control of your move. When you click request 5 free moving quotes, you will receive moving estimates based on your moving details to help you choose the most suitable moving package. You are guaranteed to hear only from licensed and insured moving companies that can safely transport your belongings at a fair and accurate price. Not only will we provide the most authentic and reliable moving quotes but also suggest the best available options that match your needs and requirements. This service is absolutely free and no obligation on your part as we only want to save you a tremendous amount of time, money, and stress later on. Asking friends and relatives for referrals and about their experience with moving companies is essential. However, it is preferable to obtain the help of professionals in handling your relocation. The fastest and easiest way to check moving companies and moving services is to obtain free online moving quotes. It’s vital for any individual or family to know some basic information about the moving industry before choosing any moving company. The moving services industry basically provides moving and relocating services, including the transport and shipping of residential, commercial and institutional goods for its customers. Few movers provide warehousing and storage facilities of these goods as well. From office furniture moving services to artwork moving services, these moving companies tend to compete with one another and provide reasonable rates for their moving services and products. Experienced moving companies understand the problems that come with moving and treat each move as unique. A good moving company will undertake to assess your moving needs and devise a plan to execute your move as efficiently and as economically as possible. From packing household goods service to transporting them via a ship or a truck, the moving company is responsible for the safety of your goods. Charges for a moving company depend upon the fragility and type of the transported goods and the distance needed to be covered by the transport. The moving industry is a moderate level of a business that requires average capital investment to it. A moving company’s capital expenditures basically include the purchase costs of the moving vehicles and transport. Labor expenditure includes the wages of these truck or transport drivers, mechanics and the administrative staff of the company. Over the past decade, capital investments haven’t really changed in the moving industry due to relatively low demand that forced businessmen to cut off wages and the depreciation costs associated with it. How can you get the most accurate quotes? When you fill out the online request form, indicate your vital moving details such as the date of your move, contact information, the size of your residence, and your destination. Providing clear and complete details will allow moving companies to offer your accurate moving quotes to help you plan your budget. Moving companies offer hourly rates including moving truck and moving crew for local moves (less than 100 kms) and fixed rates for long distance moves. They can do the packing, loading and unloading, disassembly/assembly of your furniture, and transport of your goods. This type of move is a full service move wherein you allow the movers to take care of everything for you related to your move. You also have the option to obtain only moving truck and moving crew (2-3 men), depending on the size of your move. In this case, your moving cost will be calculated based on the time it takes to complete your move. For long distance moves, charges are calculated based on distance and weight of your goods. For your convenience, we have listed down a few of the moving companies you can trust when transferring your precious assets and goods. Understanding the functionality and services provided by the moving company is essential and will make your choice substantially easy. More than 7000 moving companies operate in the United States alone. In Canada, around 1000 small to large-sized moving companies also offer a wide array of moving services to service thousands of families relocating annually. 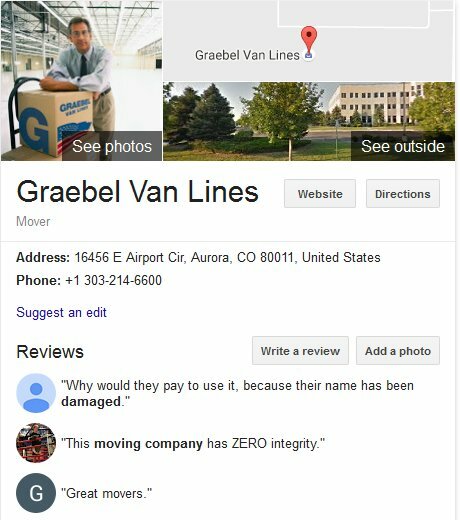 Since high demand for moving services has also resulted in a proliferation of disreputable movers and unfair moving practices, many consumers prefer to go with moving companies that have a national brand or reputation. Which of these companies are the biggest and how do you evaluate their ability to handle household or office moves? For your convenience, we have prepared a list of the 20 biggest moving companies serving local, long distance, and international moves in Canada and the USA. Feel free to get to know these movers and the types of services they offer and how much they charge. 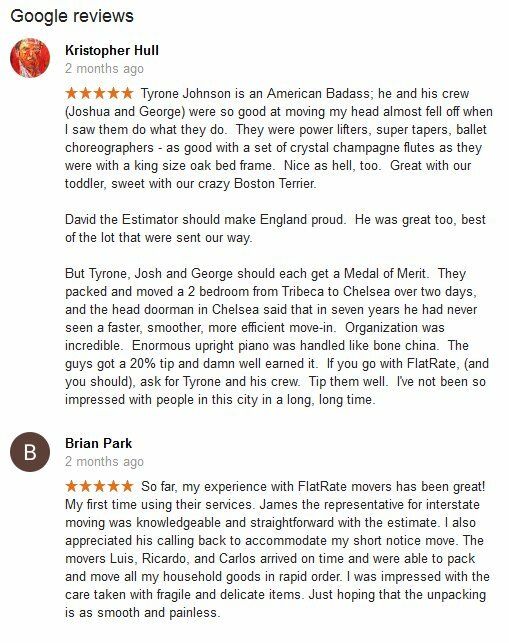 At the end of the review, you can request for your 5 free moving quotes to compare actual moving rates from the best moving companies in your location. This premier moving company has over 85 years of experience and has built a high repute in the moving industry. People tend to trust this large organization that offers national and international moving services to its clients. From mere basic to full-service relocation, the company promises to cater to the needs of its clients individually. The Personal Moving Plan provided by allied include the costs, schedule and other requirements of the clients in dealing. Fragile packing can be handled by the company however; one can opt for do-it-yourself packing as well if one is on a strict budget. Every single item is labeled, inventoried and loaded on the truck in a systematic fashion. After unloading of the goods, Allied crew may assemble any disassembled furniture for you. The company also provides corporate relocation and international moving services to its valued clients. Third Party Services – Services such as appliance connect/disconnect, cleaning or assembly/disassembly can be provided by Allied Van Lines upon request. Storage Facility – Storage in transit facility for up to 60 days is provided by the company and if necessary permanent storage facility is given as well which exceeds 60 days. Shuttle Services – In case of narrow driveways or obstructions, the company also provides small trucks to transport your goods from your old to new moving place. Allied Van Lines has agents across Canada in cities in Alberta, Ontario, British Columbia, Manitoba, Quebec, New Brunswick, Newfoundland and Labrador, Nova Scotia, Saskatchewan, Yukon, and Northwest Territories. 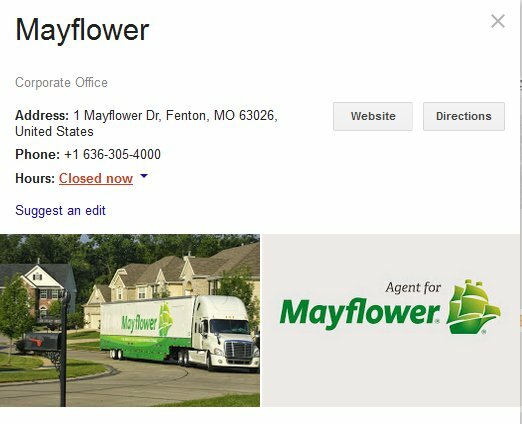 With over 80 years of experience in this industry, Mayflower Canada promises its clients a stress-free transition during their moving season. 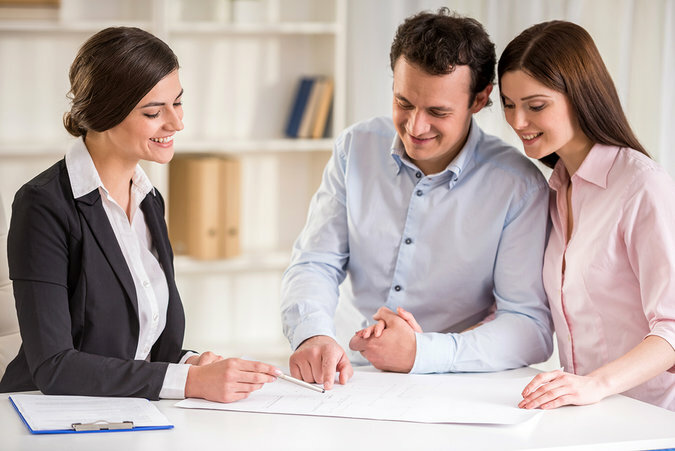 Being highly professional and proficient in this field, Mayflower Canada knows how to maintain its status in the market and with the people as well. The company is highly regarded in the industry and has therefore collaborated with various companies aiming to improve services for its clients. The company is affiliated with Air Miles, Welcome Wagon and Buying or selling your home. With over 80 years of experience in the moving industry, this moving company has successfully relocated thousands of families in the US and Canada at highly competitive prices. It has the advantage of size compared with other moving companies, with more than 500 agents and 650 locations in North America. It offers its customers the ability to track their shipment online and to access a claims procedure online. It is certainly one of the biggest van lines today and can efficiently handle local, long distance, international moves as a full service moving company. This large van line is based in Missouri and is one of the biggest in the moving industry. It has a large network of full service, long distance movers with more than 340 agents scattered around the US and Canada. United Van Lines is a network of residential moving companies that offer services from packing of residential goods to transporting them. This is a leading moving company in Canada due to their firm commitment with their clients and their requirements. Their customer support is what makes them stand out from the rest. It specializes in all types of relocation locally, long distance or internationally. It also offers storage and moving containers. Since its inception in 1928, it has grown to become America’s #1 mover. A few of their other services that they offer include information about the neighborhood you are moving in, great discounts and savings with their partnership companies, distance calculator (helps calculating distance from moving to new neighborhood) and a countdown calendar to mark off the days till your moving date. The company also offers packing guides and has a storage facility for the goods as well. Being strictly focused on residential moving only has given the company great experience in this specialized field of the moving industry. 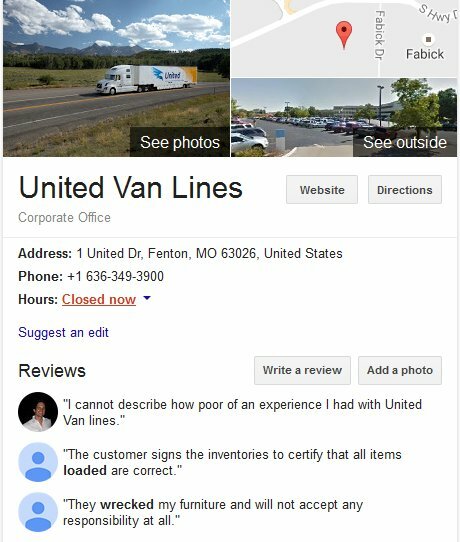 Families and individuals trust United Van Lines due to their skilled and polite staff members. Their rates are quite reasonable as well and can be obtained from their website easily. To ease the anxiety of its customers, the company offers online tracking of shipments. This moving company in Ontario is headquartered in Oakville, ON and has been in the moving industry for 52 years now. With a full time staff of 75 members and unique programs such as “Quality in Motion Program”, the company has built its repute in the moving industry. 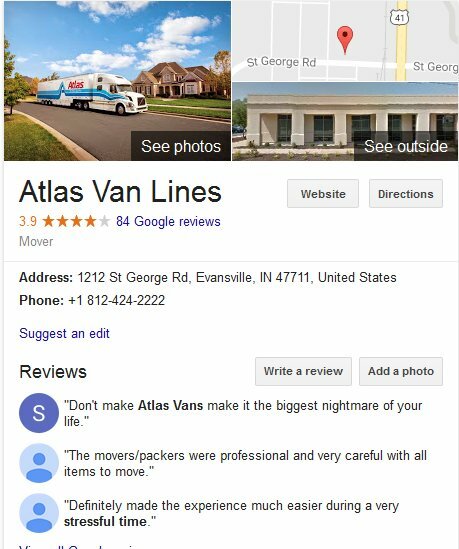 Atlas Van Lines serves as an umbrella organization and has more than 150 qualified agents. The company offers moving facilities in Canada, to and from America and across overseas as well. The company has strict rules that all agents that move on the company’s behalf must abide by. The company has initiated the “No Stranger at your home” initiative to make their staff accountable and back check their records. For movement of high-value items, the company has a special transport division named Transportation Solutions. Medical equipment, high-priced assets and art exhibits can be moved using this service. Atlas Canada is a subsidiary company of global Atlas World Group. 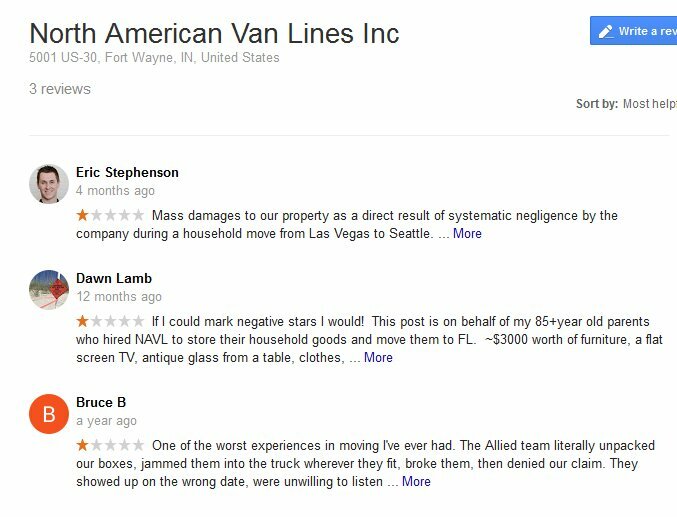 This company is highly respectable in the moving industry and generates billions of dollars in revenues every year. The parent company is located in Indiana and is part of the Atlas World Group which is comprised of various other companies providing delivery and transport in the US, Canada, and across the globe. It has more than 500 agents that are trained and equipped to transport all types of cargo. Their agents own and operate their own equipment and warehouses. From household moving to corporate relocation, this moving company aims to provide stress-free and efficient moving services with innovative moving solutions that include easy tracking of shipment. This moving company goes by the principle of “We drive, you save”. 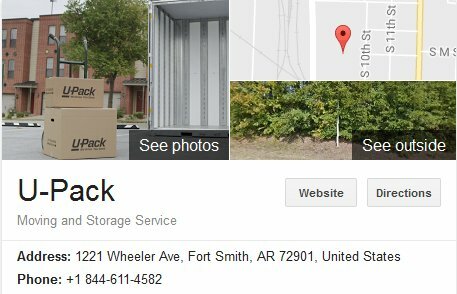 Based in Fort Smith, Arizona, this company charges space you use with no hidden fees. It works like a self-service move wherein an empty container is delivered to your doorstep and you load your cargo. The company picks-up your loaded container when ready and delivers to your new destination. The customer does all the packing, loading, and unloading and entrusts the safe transport of the container. This option is definitely cheaper than other moving solutions. Founded in 1997, the company helps consumers reduce their moving costs for long distance moving. It provides direct service to 98% of US cities and to thousands of communities in Canada. The company is accredited with the Better Business Bureau and enjoys a rating of A+. 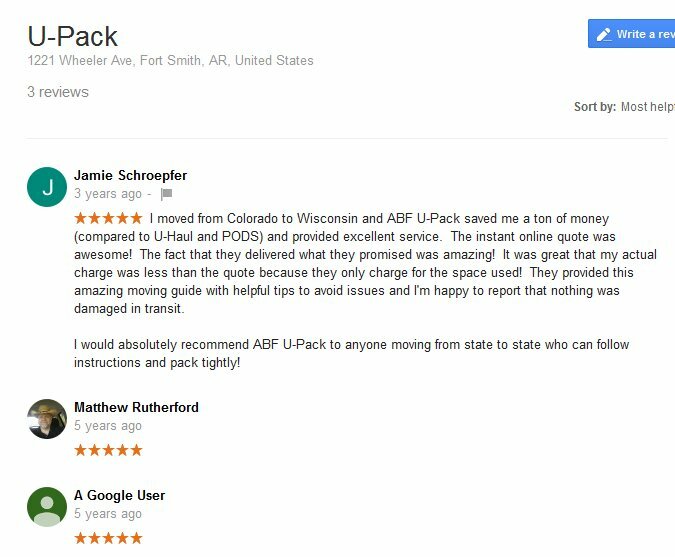 For families that are moving and don’t mind doing most of the work, UPack offers a convenient and affordable semi-DIY moving service. 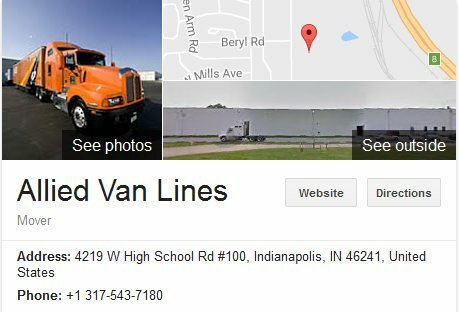 This American moving company is based in Fort Wayne, Indiana. In 1999, it merged with Allied Van Lines and became the world’s biggest relocation and logistics company. It is backed by 80 years of experience in the industry and a strong network of 500 agent moving companies located throughout North America, including Canada. It specializes in household moving, commercial moving, corporate relocation, and international moving. The company has a Quality Program to ensure that all its agents and drivers adhere to its strict standards for delivery of moving services. This moving service offers a great range of services to its customers and tries building long-term relationships with them. From corporate to residential moves, from international to inter-state moves, everything is catered for at North American Van Lines. Full Service Packaging, Fragile only Packing or Self-Packing depending upon your need and budget. Dish pack barrels with in-built partitions for packing crockery and dishware. Furniture is packed using stretch wrap to prevent snags and tear. Bottom Line Pricing is available for most of the moving programs. Also, the company offers customized pricing for its clients. This moving company was founded in1945. It has grown to become one of the biggest and well-known moving companies in North America. It has 350 agents carrying the Wheaton banner and the agent’s company name. It specializes in household moving, commercial moving, government and military moving, and storage. It is a certified ProMover of the American Moving and Storage Association, the National Association of Senior Move Managers, and accredited with the Better Business Bureau. The company has strong roots in the moving business industry as they provide relocation services to their valued clients built on trust and integrity. Since 1934, the company has grown exponentially gaining valuable experience and in-sights on the dos and don’ts of the moving industry. The company stands out from its competitors as its prime motto is satisfying its customers’ needs – no matter the efforts required. 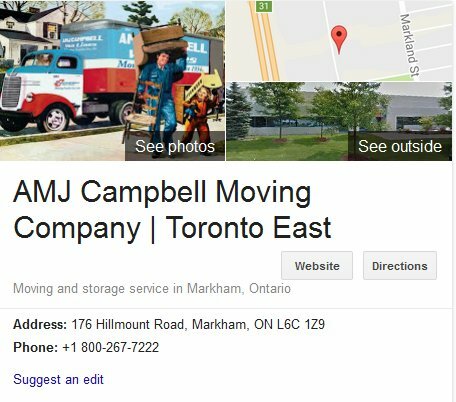 AMJ Campbell offers residential and commercial relocation, corporate relocation and office moving services locally and overseas. However, they are skilled when dealing with office equipment and can easily relocate an office environment from one building to another- a trait only a few moving companies have. The company also has specialized logistics and storage facility for the goods. AMJ Campbell guarantees to provide a written quotation, a phone call before the day of movement, settlement of any damage claims within 30 days, reassembling of any disassembled furniture, protection of delicate and upholstered furniture and protection of floor and banister. Not only this, AMJ promises excellent customer service and efficient and on-time performance. This moving company prides itself in being a one stop moving solution for moving in Canada, USA, and internationally. The company started in 1934 and has evolved into one of the most successful and biggest moving organizations in Canada today. 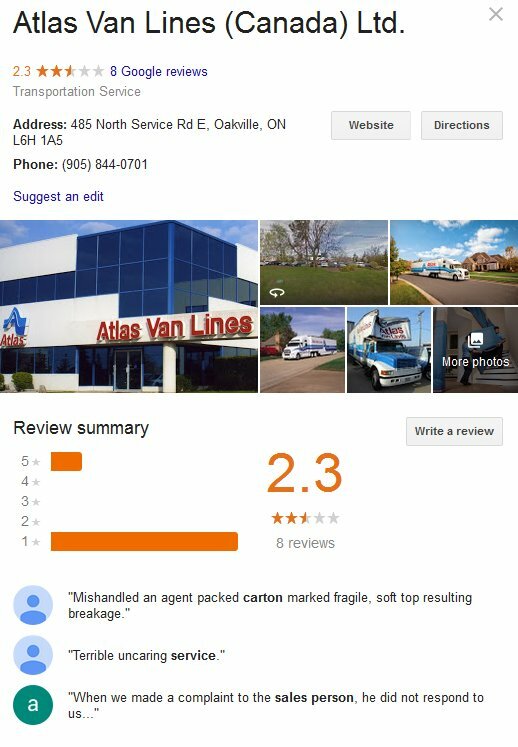 Based in Markham, Ontario, it is also a partner of Atlas Van Lines and is a proud member of the Canadian Association of Movers. This moving company has various locations in Toronto and Ottawa and operates self-storage facilities. It offers Aeroplan miles to customers who book their moving services. Check out how AMJ Campbell handles moving needs of its customers from the video below. 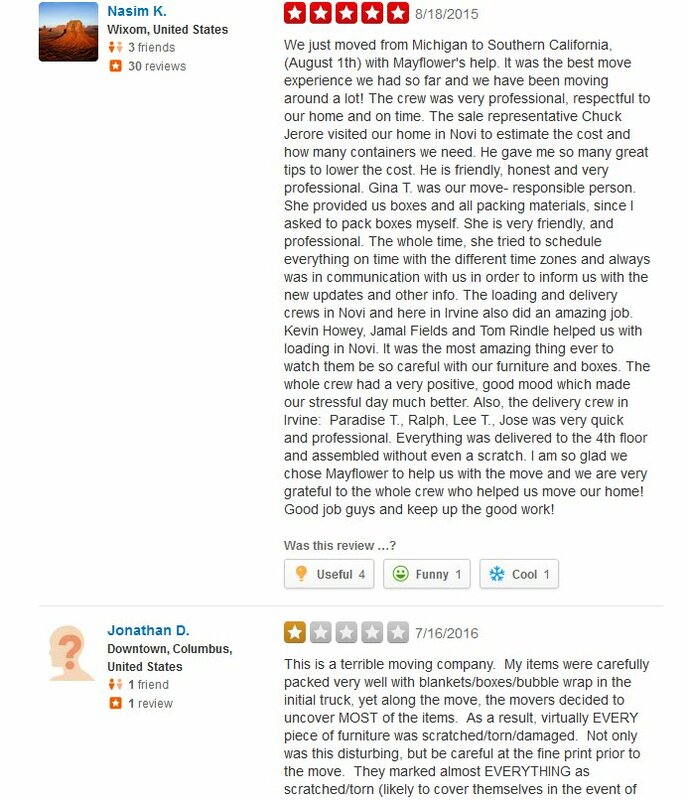 This company is probably one of the oldest movers in America and has built a reputation of expertise and excellent customer service. It is a worldwide leader in household moving, international moving, military moving, and corporate relocation. It can handle any type of long distance move with high quality and professional moving services. For interstate moves, this company calculates your cost based on weight and distance as well as other services you need such as packing or special handling. 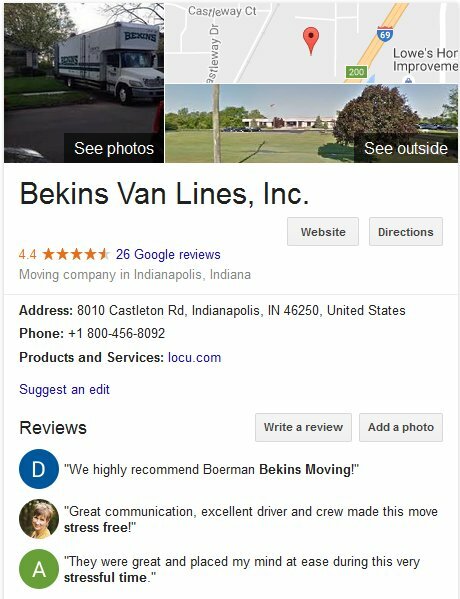 Bekins Van Lines is accredited with the Better Business Bureau and is a member of the American Movers and Storage Association. When moving in Canada, Bekins is a partner of United Van Lines and accredited with the Canadian Association of Movers. It works with over 350 independent agents in various locations and work together with their agents to ensure you experience a stress free move. 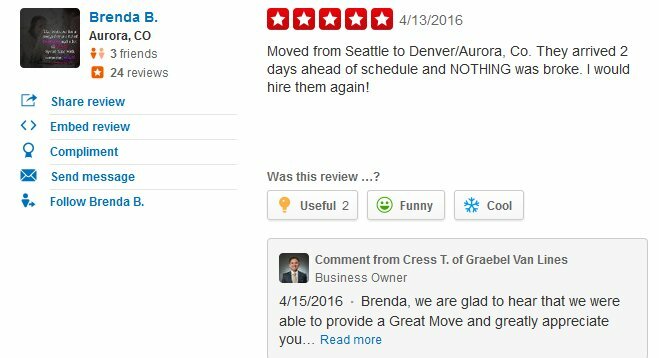 This moving company is one of the biggest moving companies in the US and based in Aurora, Colorado. It specializes in household moving, commercial moving, and international relocation. It has award-winning safety record for local, national, and international moves and is accredited with the Better Business Bureau and the American Moving and Storage Association. It also offers packing, unpacking, and short or long term storage in secure and very clean facilities. It has offices in most major cities in the US. 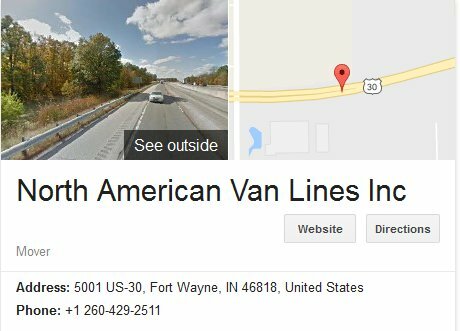 As a van line, it also has agents in worldwide locations to assist customers in every step of their move. For convenience of its customers, the company offers 24-hour unparalleled customer service. This moving company is one of the biggest networks of independent movers in Canada. They offer competitively-priced and efficient moving services anywhere in Canada or the US. It has more than 100 trucks and 30 offices throughout Canada. It began as a Vancouver company in 1981 but now has franchise owners around the country that work collectively as a network. The company offers local, long haul, national, and international moving for households, offices, and organizations. With 30 years in the moving industry, it has developed a reputation for high quality moving at an affordable price. 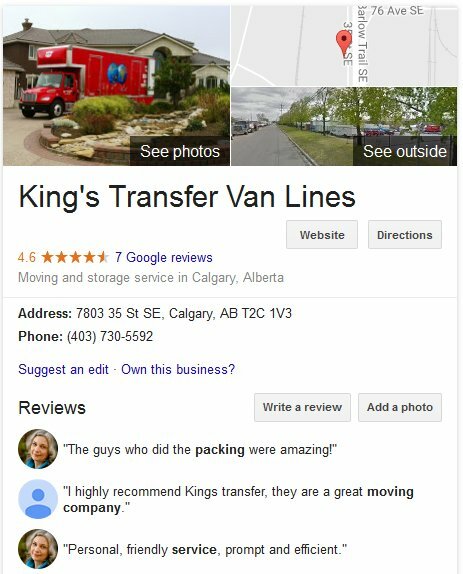 With agents located in British Columbia, Alberta, Saskatchewan, Ontario, Manitoba, Quebec, and Maritimes, this moving company can definitely move you anywhere you need to go. The company also uses the latest technology in self-storage with fully secure and climate controlled units. It should be mentioned that the company has come under fire in the last few years due to customer complaints in B.C., Toronto, London, and other locations for overcharging and broken promises. The Head Office has intervened to resolve problems of customers with its agents. 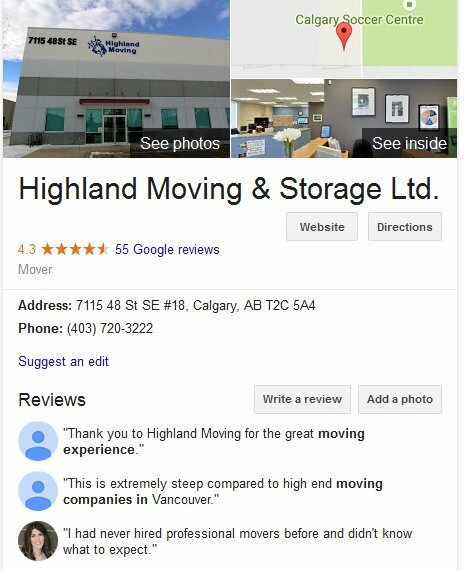 This moving company serves Canada and the United States as long distance movers. Based in Vancouver, it has offices across the country and can help customers move to every major city with weekly departures. It was founded late 1980s and began its operations in Calgary but moved to greater Vancouver in 1990. With more than 2 decades of experience, this moving company is one of 6 major van lines serving Canada. The company also provides regular service to the eastern and western seaboard of the USA from Canada. 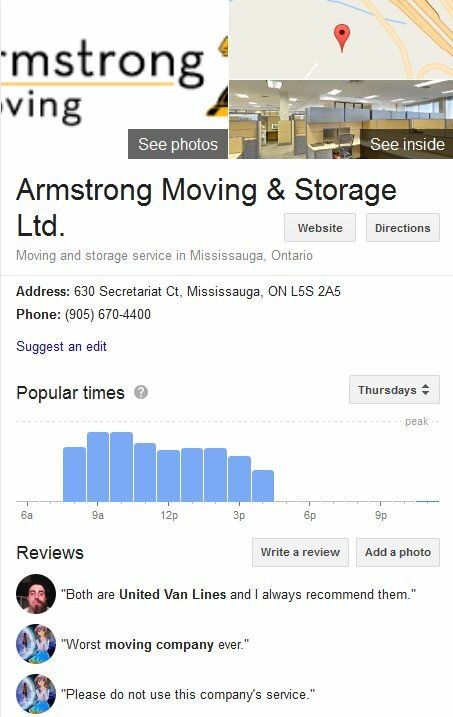 As the name suggests, Armstrong provides exceptionally specialized moving facilities to its loyal customers across Canada and USA. The company’s main focus is providing its clients with more free time they could spend with their loved ones before moving into a seemingly strange place. You can foster your old relationships and cherish your memories while the company takes care of a smooth and seamless moving transition. 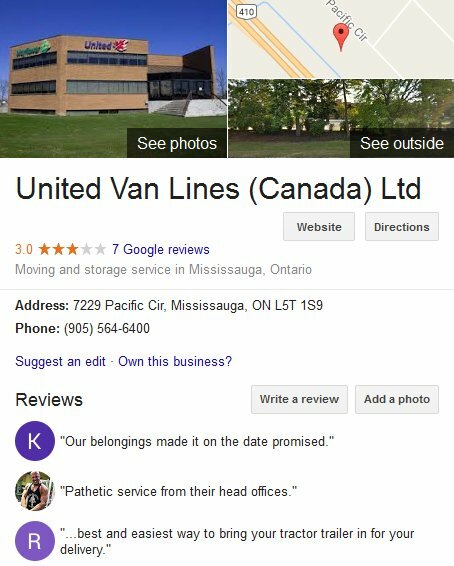 It is the biggest member of United Van Lines Canada and can execute moves efficiently between Canada and the US. It is also an industry leader in corporate moving. Appliance servicing to ensure longer use of your equipment. Assistance in documentation preparation for overseas moving. Relocating your pets in a safe and secure environment. As a member of FIDI, it has access to more than 600 international moving companies. 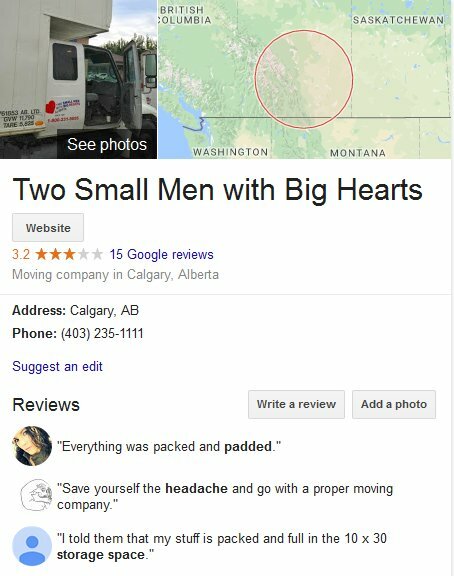 This moving company has been serving Canada for more than 2 decades. It is also an agent for North American Van Lines. The company specializes in residential and commercial moving, specialty moving, and international moving since 1993. It has offices in Calgary, Regina, Toronto, Winnipeg, and Mississauga with more than 75 trucks and highway tractors. It also has over 500 agent locations in North America. It is accredited with the Canadian Association of Movers and the American Moving and Storage Association. 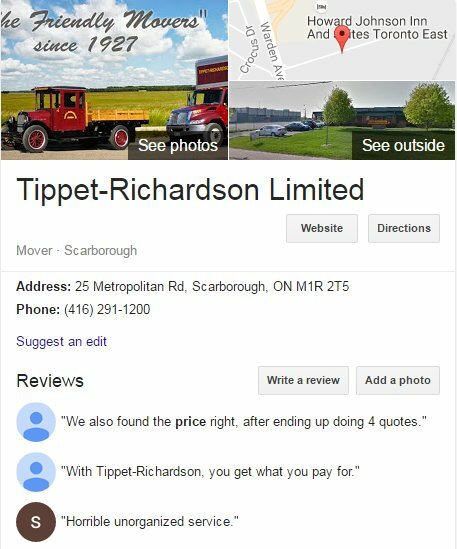 This moving company began in 1927 with the goal of providing high quality household and commercial moving services in the Toronto area. In 1929, it became an agent of Allied Van Lines (USA) and then Allied Van Lines Canada. Based in Toronto, it also has branches in Vancouver, Calgary, Ottawa, Windsor, London, Kitchener, and Montreal. It is privately owned and operated. It specializes in international moving, long distance moving across Canada and the United States at a cheaper cost. This moving company was established in 1938 and is a family owned company specializing in relocation, transport, warehousing and distribution for households and businesses. It is affiliated with Starline Overseas for its international moving services. 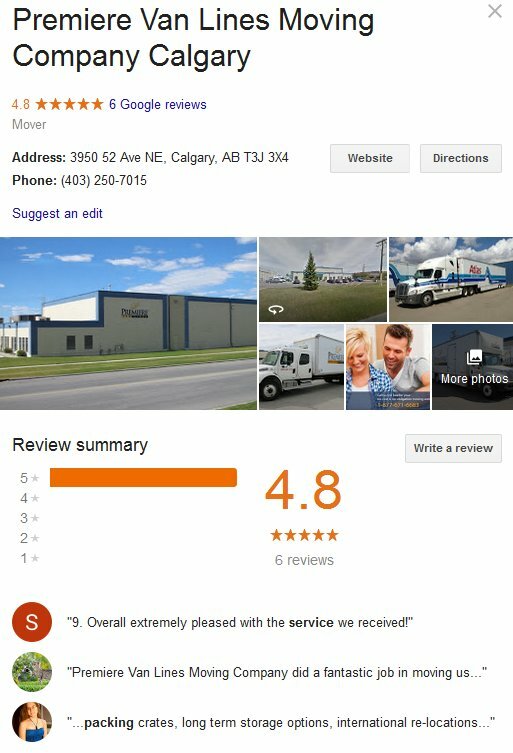 With more than 75 years in the moving industry, it has become a respected moving company in Edmonton, Calgary, and across Canada. It performs moving services in the western provinces of Canada and the Western USA. Outside its service areas, it partners with other agents of United Can Lines and FIDI for international moving. It is accredited with the Better Business Bureau and one of Canada’s Best Managed Companies. This moving company is a one-stop moving solution for all types of moving. It is located in Calgary but has offices in Winnipeg, Toronto, Ottawa, Burlington, and Montreal. The King’s Transfer Group of companies is also a moving agent of Atlas Van Lines. The company was founded in 1922 as a family owned company and until today, lives up to its commitment for high quality service for moving across Canada. Aside from moving in Canada, the company also specializes in moving from Canada to the USA. It has also worked with some of the largest companies in Canada for commercial relocation. 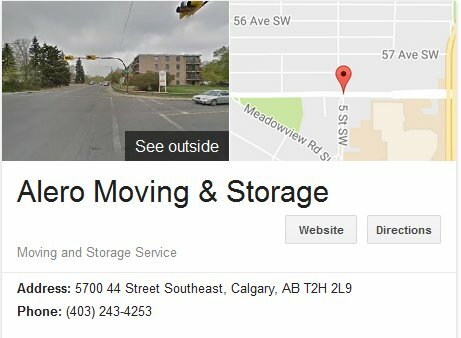 This moving company has been operating in Calgary for over 36 years. It is the recipient of many awards as an Atlas Van Lines agent. It offers local and long distance moving Canada wide, Canada to US relocation, international moving, auto or motor vehicle relocation, and short or long term storage services. It is accredited with the Better Business Bureau with an A+ rating and is a member of the International Association of Movers (IAM). This moving company based in New York City emphasizes honesty and quality service with every move. For over 25 years now, it uses a flat rate moving price model to make moving services affordable for its customers. Their one price, all-inclusive guarantee ensures that customers pay a fair and accurate price and will trust the company every time they move. It has 9 branches in major cities in the United States (Orlando, New Jersey, Miami, San Francisco, Washington DC, Los Angeles, and Denver) and locations in London and Singapore. It also has representatives in more than 160 moving destinations around the world. 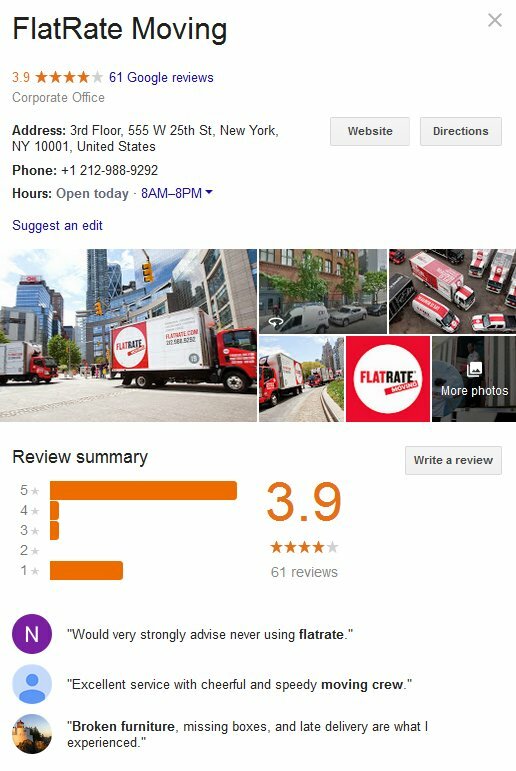 Flat Rate USA and Flat Rate International can cover your move in any part of the world. It has a high tech dispatch center operating an advanced GPS system to track your cargo. It also has a large fleet of well- maintained moving trucks and state of the art storage facility. Promover’s main focus is providing education to its customers about the ins and outs of moving before using their service. For this, they offer tips and valuable information on their website for customers to read and get familiar with this business. They also offer a free moving resource packet for customers to be prepared before relocating. The company has a really impressive track record of providing quality and efficient moving services to its clients. The company is insured and licensed, compliant with regulations by the authorities, has maintained good BBB ratings and is certified and endorsed by AMSA. The team of Promover is friendly and highly regarded by its clients. Promover offers all the facilities from packing of goods to transporting and unloading them. They not only help clients move in-state but also with overseas moving. Their rates are well-priced and affordable. It’s indeed a company that has made its mark in the industry in a really short period of time. 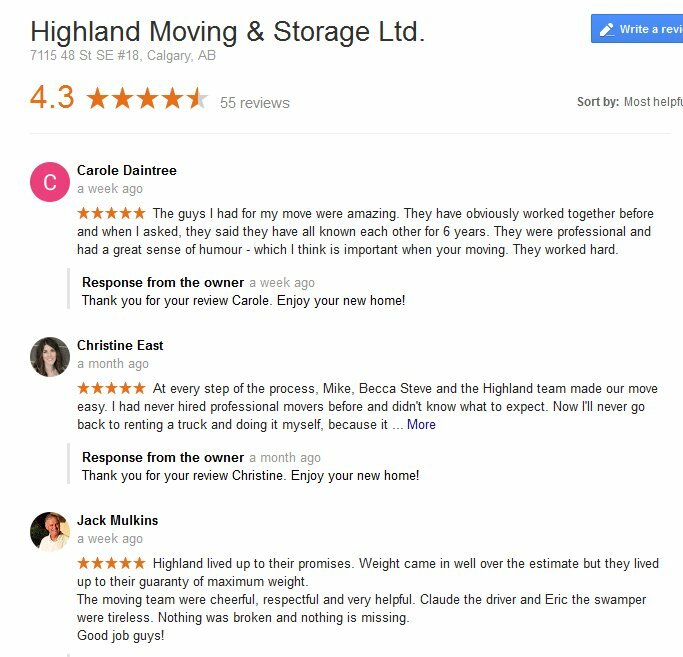 We hope this review of the biggest moving companies in Canada and the United States will help you understand the role of a moving company and how they can reduce the anxiety and difficulties that come with every move. With your own free 5 moving quotes, you can begin to review and evaluate your potential movers and choose based on your own preferences. Choosing your movers may seem daunting at first but armed with proper information, you will find it easier and more systematic. Therefore, we at 5MoversQuotes help our clients by getting specific information and putting forth the best 5 possibilities and options for them. You can begin your search for the right mover by requesting for your free 5 moving quotes and interview and ask questions for your chosen mover. It is critical that you compare multiple quotes and compare moving services and rates. In 2015, the Ministry of Government and Consumer Services in Ontario received a total of 294 complaints involving moving companies, with more cases probably not being reported. 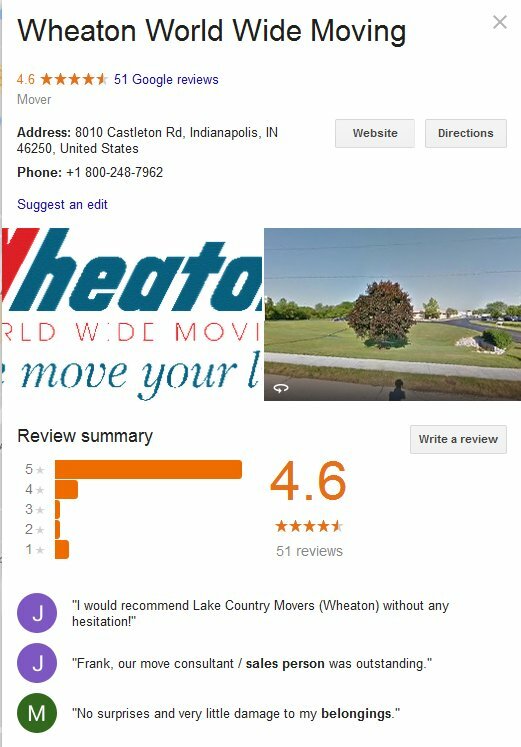 You can avoid a bad moving experience by working only with reputable movers and checking the moving company with Consumer Beware List and the Better Business Bureau. Don’t hesitate to fill-out our online request form to receive the lowest moving bids from licensed and insured moving professionals in our network. These quotes are absolutely free and no obligation on your part. We want you to experience the best move with a moving company that understands your moving needs and will do their best to satisfy you in every possible way. Let us help you connect with the best moving company in your city today when you request for your free moving quotes from 5moversquotes.